Kevin C. Reed Construction has been serving Charleston, SC and the surrounding areas since 2009, and is the Lowcountry's premium custom new home builder. After helping local construction companies for over 25 years, Kevin decided to venture on his own. Over 24 years of construction related experience. your new home or renovation great, but to make sure you, the customer, is personally taken care of along the way. Kevin C Reed Construction is a South Carolina residential licensed builder and is fully insured. South Carolina's finest home builder and contractor. With his experience ranging from national production builders to high-end custom homes, we believe we can offer a variety of price points and feature levels that some of our competitors may not have the experience. 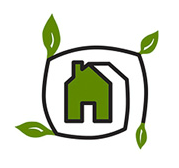 Kevin C Reed Construction is a Certified Green Professional with the National Association of Home Builders. We carry all required insurances, including general liability, workman compensation, and surety bonds, only using services of insured subcontractors. In today's market, you can not assume that any contractor is. Let us help you start your dream home or dream renovation project today! Kevin C Reed is an Authorized Daniel Island Builder. South Carolina Homes interviewed Kevin C. Reed Construction click here to read the interview.